Golden Sunset Asiatic Asian lily bulbs are not fragrant easy to grow perennial garden plants. And grown from a bulb. A unique blend of rich colors. Also, orange centers with a slight mix of yellow. Strong stems and its’ unique colors. Therefore make this a must have lily! Asiatic or Asian lilies are very easy to grow garden plants. Grown from a bulb, they adapt well to most soils. Also, great for forcing to bloom indoors. They are prolific reproducers and bloomers. Likewise, excellent-long lasting flowers. Also perfect for container growing. Or landscape border plantings! Asiatic lilies produce no scent. Making them great for allergenic sufferers! Asiatic Asian are true lilies of the lilium family. And are the hardiest, most popular lilies. As well as, producing long-lasting flowers. Beginner at growing lilies? Asiatic Asian lily bulbs are the easiest of lilies to grow. Additionally, the first of the season to flower. And they multiply fast. Easy care, they do well in many zones. USDA hardiness zones 10 all the way to 3. 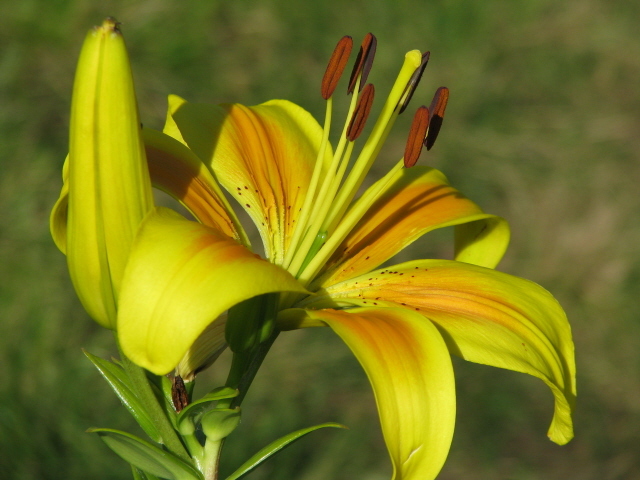 History of Asiatic Asian lilies run deep. Painted flowers were found adorning walls in Egyptian pyramids. And, Chinese paintings. Also found in the circle of Louis XIV. Oriental hybrids are cross bred with this cultivar. Therefore, producing many different shades, colors, etc. Their flowers are large. Likewise, 5″ to 6″ inches across. Furthermore, their large bulbs store a lot of food. Also, giving plenty of flower power. Even grown with sub-par soil, water and fertilizer. 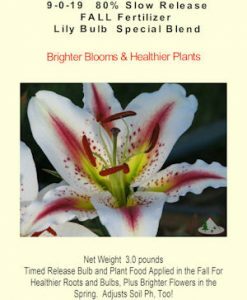 Asiatic Asian lily bulbs come in a wide range of colors. Red, pink, yellow, orange, white. Additionally, more shades and colors! 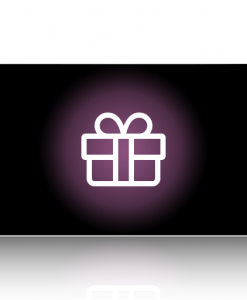 And color combinations. Except blue. Site selection is important. Choose locations that are in full sun mornings. Then afternoon shade. 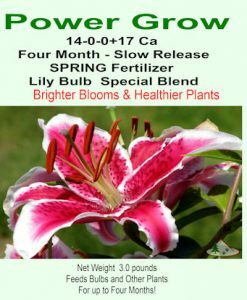 Likewise, all lily bulbs grow best in a soil ph of 6.2 to 6.5. Therefore, it’s a good idea to test your soil ph. Amend as needed. However, neutral (7.0) is OK. Golden Sunset Asiatic Asian lily bulbs cannot tolerate boggy soil. Planting areas should be tested for drainage. Again, amended prior to planting. 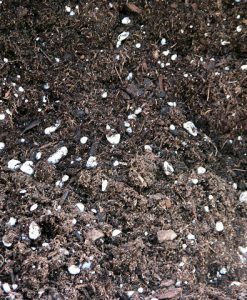 Incorporate our Power Grow Potting Mix into any soil. Increasing drainage, aeration, nutrients. Their bulbs are available on line from us Fall or Spring. Wait to plant until spring in areas with sustained freezes. Also, plant bulbs 4 to 6 inches deep. With the pointed part upward. Golden Sunset Asiatic Asian lily bulbs sprout and bloom every year. They can be planted in containers, too. Planted properly and cared for, Golden Sunset Asiatic Asian lily bulbs produce many bulb-lets each year. Also, increasing in size over time. Lightly mulch lily bulbs before the ground freezes. The Asiatic hybrid lily, have always been a selection of fabulous garden and cut flower lilies.